Corvalla at Stonebriar is a beautiful active adult community in Frisco, TX. Construction on the new $100 million luxury condominium development began in 2017 by Dallas-based builder Robert Elliott Custom Homes and Western Securities Limited. 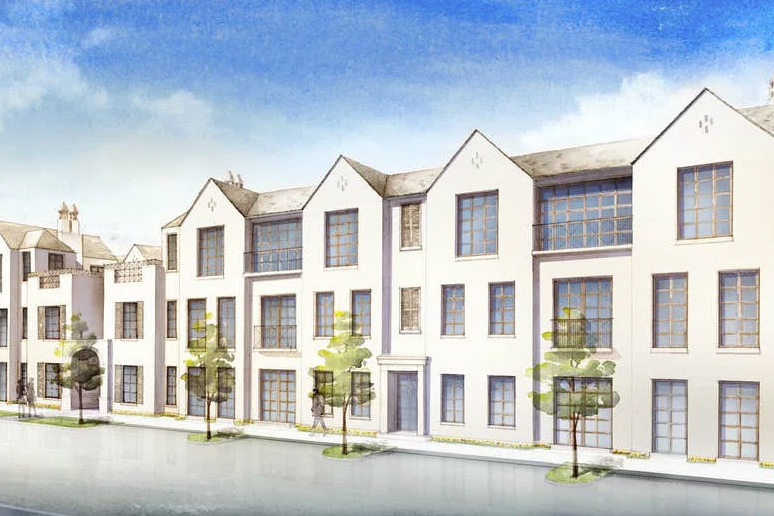 The Corvalla, which is slated to open in fall 2018, will host just 121 single-story units designed by award-winning Stocker Hoesterey Montenegro architects. Homebuyers can choose from five distinct floor plans ranging in size from 1,736 to 2,772 square feet and offer two bedrooms, two or three bathrooms, and private underground parking spaces. Some units will include gas fireplaces. Condos will have a sleek, modern look and feature open layouts with large living areas, elegant master suites, ten-foot ceilings, large kitchen islands, Sub-Zero and Wolf kitchen appliances, spa-inspired master baths with freestanding tubs, walk-in closets, polished-chrome fittings and hardware, hardwood floors, plentiful windows, and private outdoor terraces. Each building will have secured access entrances for optimal privacy. Priced from the $700s, each unit will also include luxurious finishes like white oak, limestone, marble, and quartz throughout. In addition to innovative home designs, The Corvalla will also host lavish amenities that resemble five-star resorts. Some of the proposed amenities include on-site concierge with luxury building management, a private clubhouse with entertaining areas, an outdoor swimming pool with cabanas as well as bocce ball courts and beautiful courtyards with manicured green spaces, fountains, and outdoor fire pits. A social membership to the nearby Stonebriar Country Club will also be included for residents of The Corvalla. Retirees will also enjoy the community’s prime location in Frisco, Texas. The development is within walking distance to the Stonebriar Country Club and its two golf courses, and just a short drive away residents will find The Shops at Legacy, Legacy West, Stonebriar Centre, and the Dallas Cowboy’s new headquarters at The Star. Residents of The Corvalla will also be close to Warren Frisco Medical Center, Texas Health Presbyterian Hospital, Frisco Sports Complex, Toyota Stadium, and Plantation Golf Club. The Corvalla at Stonebriar will be the first luxury condo development of its kind in Frisco, Texas that provides retirees with a great mix of resort-style living, low-maintenance residences, and a popular location. Request more information about the homes, lifestyle, and amenities at The Corvalla at Stonebriar!